I think an applet FAQ would be awesome. It would be great also to have a section just dedicated to applets as their a lot of special considerations like bugs, tutorials, sizes, offline testing, focus. It seems like java for games could really take off by taking some of the flash market share. As a beginner here are a list of the questions I have. I've answered what I've could, but I'm sure there are a ton more. Flash v Java: advantages and disadvantages? Warning! Reading this part might be a bit depressing, depending on your current time investment of Java. Flash is the king of the browser game market despite being proprietary and not as flavorful, smooth as Java. http://www.statowl.com/java.php Penetration: 54% with 1.6 + 19% with 1.5. Total 73%. On a positive side, Java is going to allow you to move toward bigger and more complex games. What size should my applet be? According to the flash discussion <a href="http://www.triquitips.com/viewtopic.php?f=25&t=617>here</a>, 640x480 seems to be the preference. Of course with vector graphics, flash may have more flexibility. According to this <a href="https://www.mochiads.com/community/forum/topic/portals-and-game-sizes-list-of-portals-max-size>discussion</a> that lists several flash portals, 640x480 is the max for a few but many go much larger. Width doesn't seem to be much of an issue, often set at 800. Beware of large file sizes as it will hurt performance. Why is the size of the applet important? Try playing this amazing <a href="http://www.rocksolidarcade.com/games/robokill/>game</a> on low resolution like 1024. Consensus says applet; however both do different things. Applets should be great for in browser gaming with fast loading and keeping the visitors harddrive clean. Webstart is great for keeping a game up-to-date and cleaning installing your application. The full discussion can be found <a href="http://www.java-gaming.org/topics/applet-vs-webstart-what-do-you-prefer-as-a-end-user/20044/view.html>here</a>. How to double buffer with an applet? I've found three code samples I like. It would be wonderful if a Java Guru could chime in on the quality of these. Which Java game frameworks support applets? How do I test my applet offline? How to add files (images and sound) to a JAR? In NetBeans, right click on the project. Select properties. Select the category named "Sources." Click "Add Folder" under the Source Package Folder Section. Select your directories. The default is *.*. Hit okay. How to load files (images and sound) from a URL? How to load files (images and sound) from a jar on a URL? How to setup your code to load from a hard drive or URL? What is the best sound player for uncompressed files? Use AudioClip. Clip seems to be buggy. What is the best sound player for compressed files like Ogg and MP3? How do I add my own art to the Java Loading screen? How can I drive traffic to my game? Where can I attempt to sell my game to a portal? Not interested in money, just want to get the game out there to be played. What are the know bugs? Mac users have a tough time with 1.6. Is there an explanation of the major browser crash bug? I know David Brackeen's framework resolves this but his code was a bit over my head. What is the difference between Applet and JApplet? Which to use? On person says, Applet is the HeavyWeight component, just use Applet everywhere and forget about JApplet. However, when I use a canvas for double buffer and use Applet, I get a nasty 8 pixel bar along the top of my application. JApplet does not have this issue. 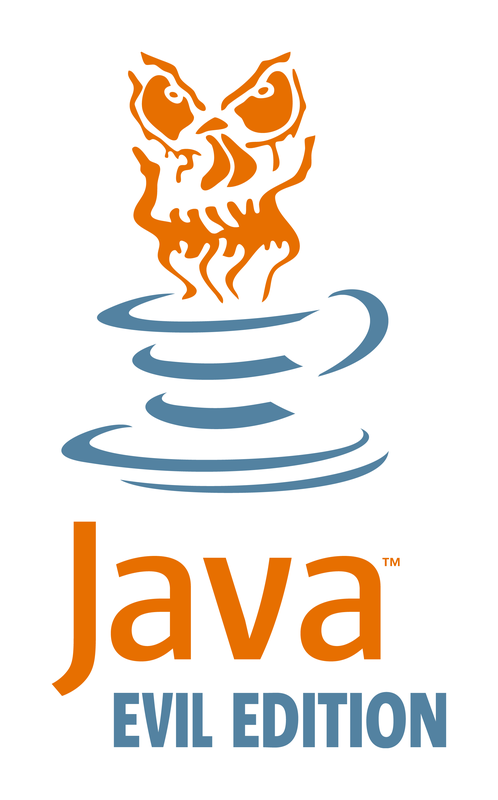 Has Oracle's purchase of Sun doomed Java Games? How to write to a server for things like high scores, save data, etc? This allows folks to communicate with perl etc on the server side. hiya, thanks for posting. Could you tell me what types of things this is used for? highscore writing? o yeah, its nice to know because of sending stuff to say a php script that then posts to a database. so yes highscore writing, player data saving etc... jit allows a server-side php/perl/script to receive data from the applet. GTGE too. Very easy to create applets, have made about 7-8 with no problems. Quite a lot of the other questions would depend on the framework used. For example, using GTGE to play a .wav I use playSound, playMusic for Midi, without using a framework would load an AudioClip (wth main class extending Applet). Offline testing still use a browser (Firefox mainly). sorta covers a little of everything on applets. GTGE also supports .mp3 thats what i currently use. I have a question regarding applets soon my game will cross the 10mb threshold should this be a concern regarding actually playing the game once loaded? When the game is finally finished i intend to share the client and .bat file to run it as an app as a torrent(can you get a mac and linux version of a .bat ? please message me if you can ). I keep hearing about mysql/php/applet whats wrong with mysql/java application on serverside/applet ? I can put highscore data directly onto the applet (if i could find away of actually calculating what decides who goes on top any one help here?). I haven't done stuff with applets for ages but isn't the whole automatic prompt for installation a good thing? as flash has? Wasn't there some way to nest embedded object and applet together that it works in all browsers and if running firefox or IE automatic installation of the plugin? Nothing wrong, guess the issue is more people have php supported hosting than java server hosting (as until recently been loads cheaper!). I was refering to the fact of having to learn another language.I suppose i didnt see it from the side of whats being provided by the host server machine. I have a question regarding applets soon my game will cross the 10mb threshold should this be a concern regarding actually playing the game once loaded? I would say yes. I'd try to limit it to under 10 for sure, targeting around 5. Some nice sfx could replace mp3s. I was finding mp3s take up way too much space. I did a poll one time and a surprising number of people prefer their own music while playing. Many turn the sound off all together playing at work and what not. i would say that the pros definitely make it the best. You might want to stop disagreeing about stuff you have no experience with whatsoever? When working with applets, and actually caring about your users, Swing is so darn incompatible and broken among versions, that all that remains is AWT. and why do you assume I dont have any experience, do you stalk me? Isn't this a clear indication that JApplet has problems? Still you seem quite confident that 'JApplet is just Applet with added functionality', while clearly the Sun/reference implementation is totally different, hence why both I and DzzD mentioned how broken JApplet is among Swing versions. And no, I'm not stalking you, you simply should not 'disagree' without providing *any* backing, just for the sake of it. no, I didnt disagree for the sake of it.... and yes, I did have backing up. I said it is extending, and u can argue with that, but you would be WRONG. That's right, you have to consider those who will be using whatever it is you're developing. As for Swing, application debugging can be difficult because of the toolkit's visual nature.